Humbaur are a German manufacturer and all their trailers are built to the highest specification. Their refrigerated trailers are purpose built and not simply a box bolted onto a flat bed trailer that you often see. We have 2 units available for sale and we are simply selling as we plan to upgrade our fleet. Both are in full working order and ready to use. There are some slight scratches across the units if you look closely but as you can see from the pictures they are in great condition! 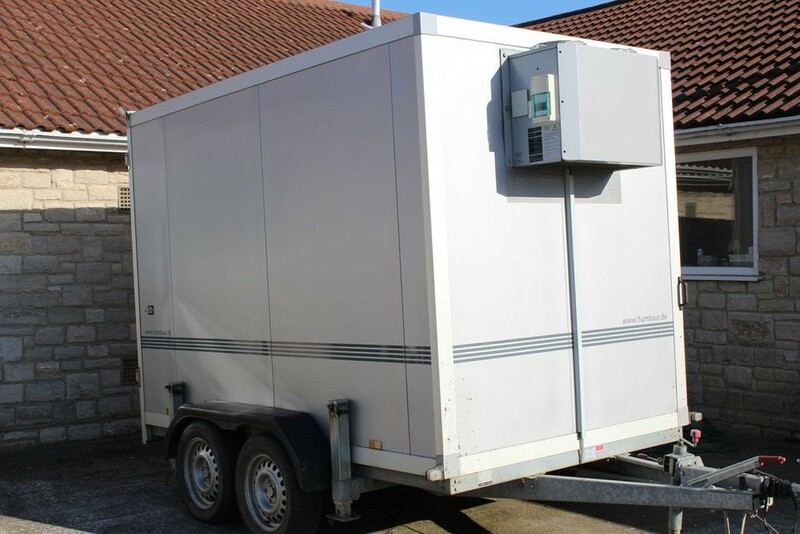 The trailers are on a hot dipped galvanised chassis with a torsion suspension. There are 4 heavy duty prop stands to level the trailer on uneven ground and support the trailer during use. 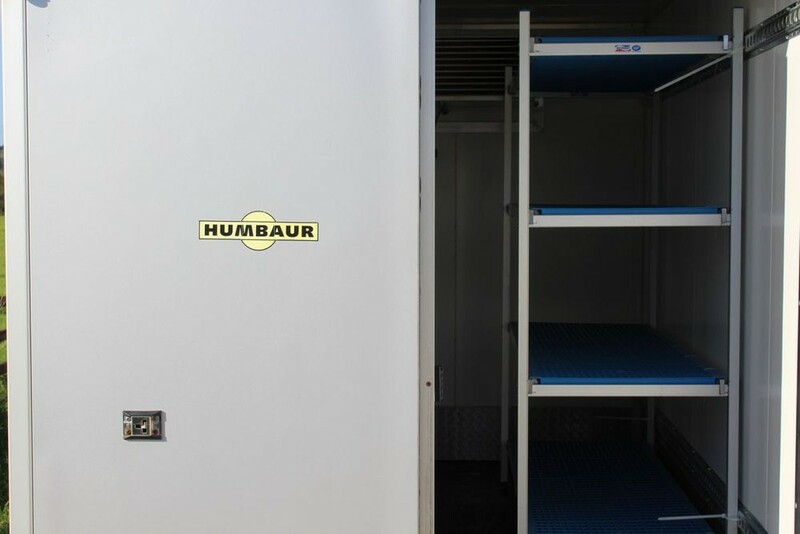 The trailers can be run from a 13A domestic supply, whilst the body is 45mm steel skinned with insulated polyester panels for regulation safe food storage. 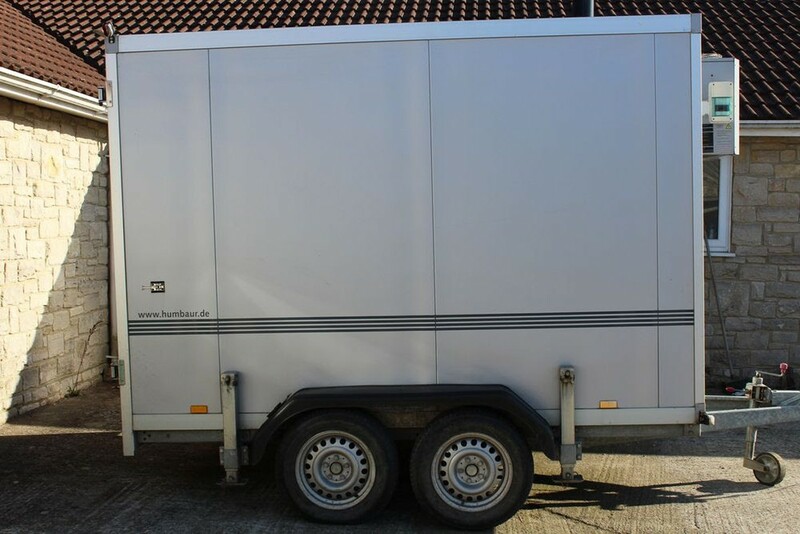 There are full width double doors at the back which are fully lockable. 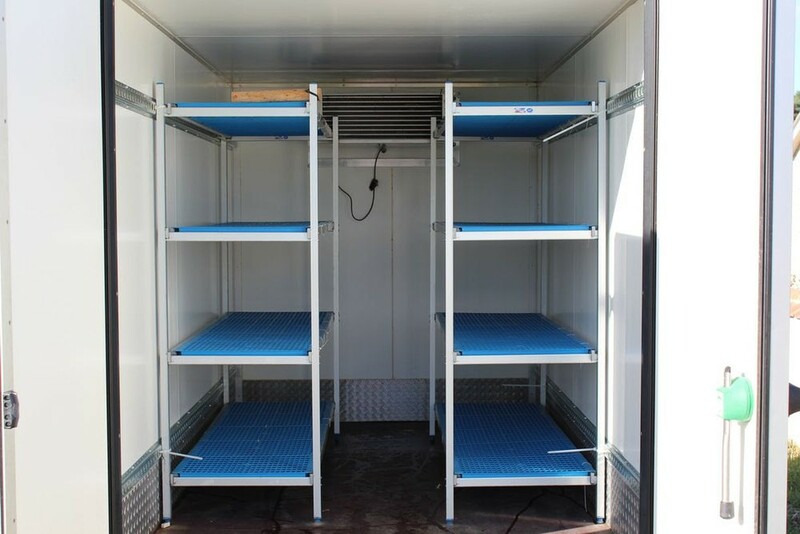 Inside the units are shelved with a non slip easy clean floor with phenolic resin coating. Collection from Dorset or delivery at cost.